Take a look at what our members have made! April 2017 Sew Day – Join Us! This month we will be working on individual projects so bring your sewing machine and sewing/quilting projects to work on. This is a great opportunity to work on your monochromatic challenge quilt! We’ve been busy! Check out all the projects members brought to share at our Saturday meeting. March 2017 Sew Day – Join Us! Hi everyone! How does a mini-retreat sound? 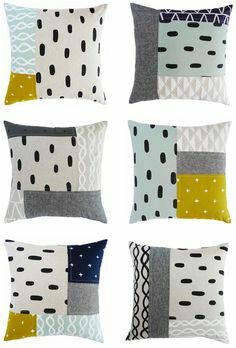 Bring a project to work on and everything you need to spend a few hours sewing and chatting. Lindsie is bringing her design wall, so if you have a project you’ve been wanting to lay out or an idea you want to try on the wall, bring it! 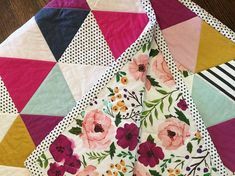 We will also have the MQG webinar: Making Traditional Modern with Shannon Page on the big TV if you are interested in watching that while we sew. We have a special guest speaker, artist Goeff Krueger, coming to join our discussion about color, led by Lindsie Bergevin. Geoff is a professional fine artist whose work can be seen in several public collections including three pieces now on display at the Boise Art Museum’s 2017 Idaho Triennial (open Feb. 21-July 16). He paints broad sweeping landscapes and seascapes, studies of structures and found objects, all while capturing the light of the subject’s surroundings. His recent emphasis on monochromatic color makes him the perfect addition to our discussion of color theory. We’ll explore the overlap between quilting, color theory (and real-world application) and fine art. We will also be kicking off a color related quilt challenge for guild members. Don’t miss it! We expect the presentation and discussion to last up to 2 hours, so we will not be sewing at this meeting. We had a great meeting this month! We had our annual meeting where we reviewed the previous year, elected board members, talked about the upcoming year, and showed off some of our projects. If you are interested in being a member of the Boise Modern Quilt Guild in 2017, please go to the Boise Modern Quilt Guild Membership page and use the Paypal option to pay your $20 dues online (please note that there is a $1 convenience fee). Or you may mail payment to Shelly Harshman at 1969 S Wilde Creek Way, Boise ID 83709. Checks should be made payable to Boise Modern Quilt Guild. Please have your dues in by December 15, 2016. What’s coming up in 2017? We are planning an exciting year: another workshop, our second quilting retreat, a lap quilt challenge, and more. Stay tuned! Many projects were shared by our members – check them out! Kathy wants to know: what should she do with this fabric?! 2016 Annual Meeting and Sew Day – Join Us! When: December 3, 2016, 1-4 p.m.
We are combining our November and December meetings. Instead of meeting November 26 and December 24, we will meet December 3. Our annual after-holiday party will be January 28 at our regularly scheduled sew day. At our January after-holiday party we will exchange mini-quilts. We emailed members a form to fill out so swap partners can learn a bit more about each other’s likes and dislikes. The last day to complete this form is 11/16/16, and we will let you know who your swap partner is by 11/18/16. Dues: If you are interested in being a member of the Boise Modern Quilt Guild in 2017, we’ll be processing memberships. If you’d like to take care of your membership beforehand, or if you can’t make it to the meeting, please go to the Boise Modern Quilt Guild Membership page and use the Paypal option to pay your $20 dues online. Or you may mail your $20 dues to Shelly Harshman at 1969 S Wilde Creek Way, Boise ID 83709. Checks should be made payable to Boise Modern Quilt Guild. Please have your dues in by December 15, 2016. Financials: We will review our financial information – where money was spent in 2016 and what we expect our expenses to be in 2017. Learn about some of the activities that are planned for 2017. October 2016 Sew Day – Join Us! Hi everyone! How does a mini-retreat sound? Bring a project to work on, a snack to share and everything you need to spend a few hours sewing and chatting. We will have a design wall, so if you have a project you’ve been wanting to layout or an idea you want to try on the wall, bring it! As always, we want to see your completed modern projects so bring those to share with the group. We are excited to announce that we have created a private Facebook group for our guild so we can share and collaborate. This is a private place for Boise MQG members to communicate with each other. 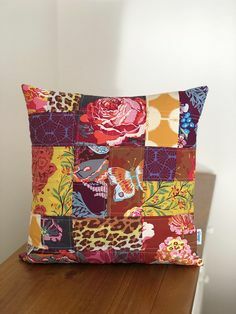 It gives us a community forum where we can discuss quilting techniques, give or ask for sewing advice, share quilting-related news, sell our sewing machine or supplies, and even share photos of our projects. To join, go to https://www.facebook.com/groups/BoiseMQGmembers/ and select Join Group. Current Boise MQG members will be approved into the group.